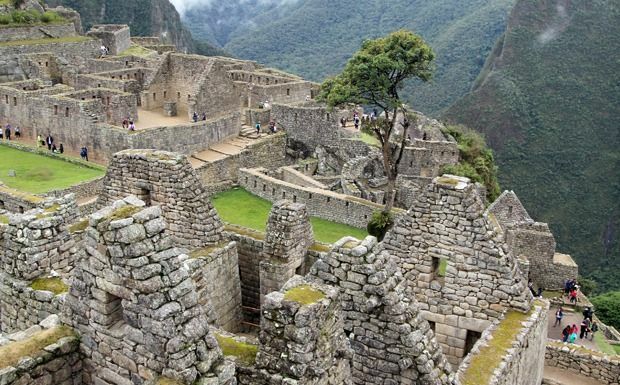 Look up any bucket list and Machu Picchu will almost certainly be on there. Few destinations hold such universal appeal and awe. We had the opportunity to do a day trip leaving and returning to Ollantaytambo, a small town in the Sacred Valley. Ollantaytambo is well worth a visit, nestled beside the Urubamba River amongst stunning mountains, its has loads of character with its fantastic central market set up on ancient cobbled streets and surrounded by small stores, cafes and bars. 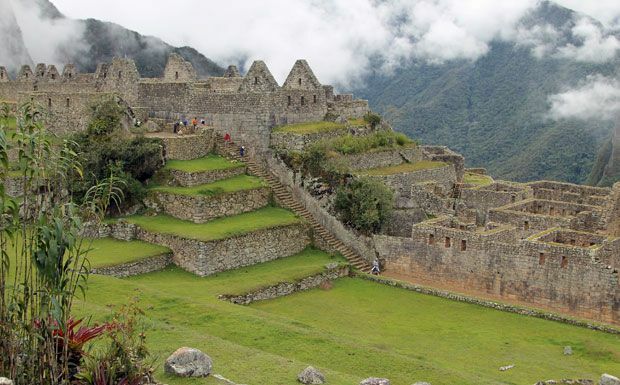 But the most impressive aspect is that this is all in the shadow of an amazing Incan fortress rising above on the hillside. Our hotel (El Albergue) was situated right beside the train station and it was an easy walk into the central market and to the ruins. The hotel itself was very pleasant with its whitewashed walls and dark stained wood presentation. We enjoyed a delicious cold artisan pale ale in the beer garden while hummingbirds flitted around us which we procured from the hotels very good coffee shop. But the highlight of the restaurant, apart from its convenient location, is undoubtedly the world class restaurant which was a delightful surprise. The quality of the food and wonderful service of this unexpected gem was definitely a highlight of the trip. Our train departed for Machu Picchu at 8am, but being situated right beside the station this was not a problem. You are only supposed to take a day pack with you so we simply left our luggage in there which made life very easy. 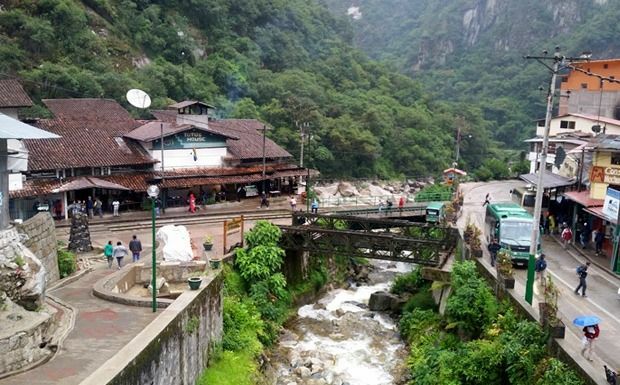 It is a very surreal experience to think you are actually going to visit Machu Picchu, but on boarding the train there was a definite buzz of excitement from all of the passengers on board. Our train ticket had already been organised by Eclipse Travel, as had our entry pass and arrangements to meet with a guide when we disembarked. The train ride up is very picturesque, winding along the wild river through misty mountains. It was very easy to imagine how difficult it was to access these remote parts by foot. Tea and coffee were complimentary along with a cookie. Many passengers opted for the coca tea which is a good option if you haven’t had much time to acclimatise. On arrival at Aguas Calientes we were met by our guide who ushered us to a queue where we were to wait for an hour to get on a bus up the hill to the site. Many people did not already have bus tickets which they had to first queue for. I would firmly recommend having this organised beforehand if possible as it will eat into the time you have available to explore Machu Picchu. The buses are constantly running and there are no seats booked, you just have to line up with everyone else. It is advisable to take a rain jacket in case you are queuing in the rain as this is uncovered. 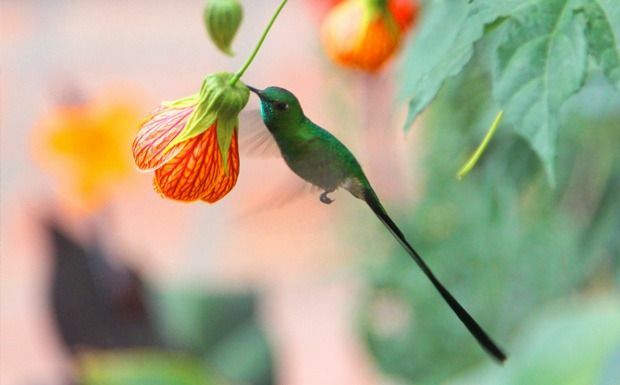 You’ll also want a good insect repellent, sunhat, sunblock etc. You will need to show your passport while waiting as they check your tickets so make sure you have it handy. We were glad to be on an early train, and managed to get up the hill by late morning. Getting off the bus we were very excited, but had to contain things a little as there is another queue at the gate to get into Machu Picchu where you need your ticket and passport ready as well. This moved reasonably quickly and finally we walked through the gates into the 15th century Incan citadel and one of the New Seven Wonders of the World. Nobody checked our bags and I carried in an SLR with a large lens and nobody was concerned about this despite some talk of professional camera equipment being frowned on – although it was probably pretty clear I am no professional photographer. There are toilets and a store outside the gates but nothing inside so make sure you get water (or rid of water) before entering. Walking through the gates into Machu Picchu is an experience I will never forget. It is one of the most thrilling, humbling, deeply moving moments of my life. It is truly an amazing place and you almost have to pinch yourself that you are really there. One of the best things of booking with Eclipse Travel was having our own personal tour guide. Your time at the site is limited and he made sure we saw all the highlights, but also and maybe more importantly, provided a running commentary along the way so that we had some context around what we were looking at. The Incans were such clever people, and were so in tune with the seasons and astrology and so deliberate about their construction, that a lot of the meaning of the site is not apparent without this supporting information, which makes the trip infinitely more interesting and amazing. Every time we stopped for an explanation of the significance of certain features such as the Temple of the Sun & Royal Tomb, the temple of the Condor, the Sacred Rock or the Royal tomb, a crowd would gather to listen in. Having this information gave us so much more insight and appreciation of what is an already mind-blowing experience. It took us about an hour and a half to go around with site with our guide, after which point he left us to go back around at a more leisurely pace which we took advantage of to take our time to soak in the atmosphere. Much of the site you can only travel in one direction, to help manage the flow of the traffic, so you do need to make sure you are a little bit organised. We didn’t find the altitude an issue at all, but we had spent days previously in Puno and Cusco so had time to acclimatise. Some people we noticed were a little short of breath, but nothing unmanageable that we saw. Leaving the site, you need to queue again for the bus so it important to keep an eye on the time so that you can connect with your train down to Ollantaytambo if you are leaving that same day. This queue was an hour again. There is booth to get a special Machu Picchu stamp in your passport as you exit which is cool. The train back down gives you time to reflect on an amazing day. We bought a beer to celebrate a successful day with the Norwegian couple sitting across from us. They had done the trek in, which they said was fantastic, and were catching the train out. If you are doing the single day trip it pays to get the earliest train you can up and the later train available back to give you as much time on site as possible. Having all our tickets arranged before we left was a huge benefit. Machu Picchu is as special as everyone says it is, but it does take a decent level of organisation to make sure you have an optimal experience as we did see several people who had very little time on site due to not having tickets pre-organised etc, and this, as well as organising the guide, is where Eclipse Travel made a huge difference. 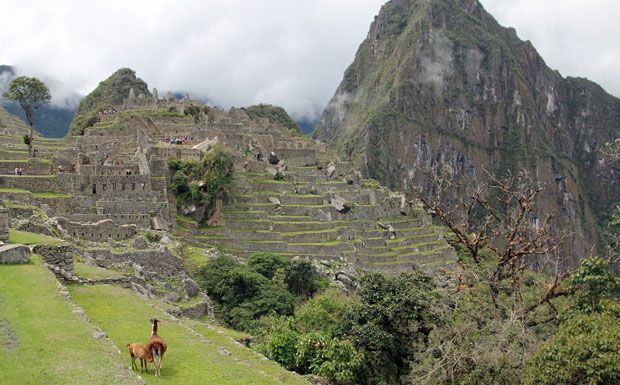 If you are walking the Inca Trail check out our packing list here. 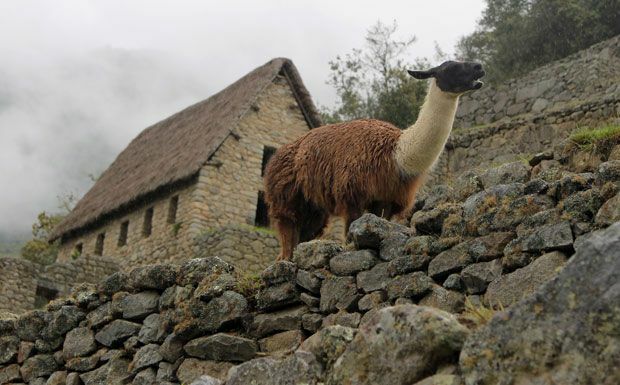 If you are thinking about a trip to Peru, I would highly recommend Eclipse Travel’s Best of Peru Tour as a starting point for your itinerary. 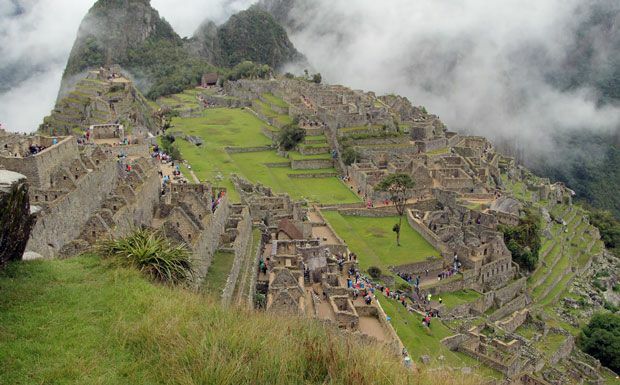 EDIT: Please note since this article was written theres are new regulations for visits to Machu Picchu. Please read these here.